"Our multi-level pricing structure allows our service providers to move through the levels by reaching certain goals, earning a promotion at each achieved level. The goals of the level system are based on various criteria, most importantly availability of time. Service prices vary according to the level of the service provider. Our service providers at Cre8 have been through our associate training program and undergo continuing education frequently. As a company we understand that all guests have individual beauty budgets. We encourage our guests to discuss beauty budgets with all service providers and/or our front desk support team for a comfortable and affordable experience at Cre8 Salon & Spa." We are always seeking passionate and ambitious service providers to join our growing team. In the event you are ever asked to define Cre8 Salon and Spa, the definition is unequivocally salon owner, Marcy Moreno. 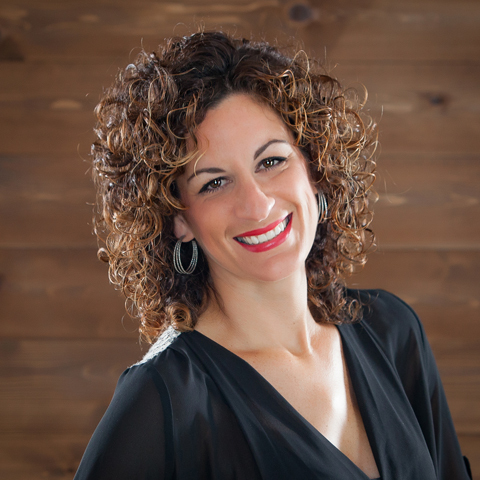 Eme followed her lifelong passion for the hair and beauty industry to become one of the top hairstylists in the area. Specializing in natural color placement and styles. Firmly believes in evolving as an artist, Talia attends multiple color classes a year learning from top colorists and is constantly staying connected to all the latest trends. Lily not only enjoys being creative and creating new looks with hairstyles and color techniques. She has a true passion for people. Tina Todd, Hair Stylist and Color Technician: Arrojo trained, Tina possesses the training and talent to exceed your needs and expectations. Jamile stays current with the latest styling techniques and continues to attend innovative and educational classes to better serve her faithful following. Chelsea's passion is watching her guests leave satisfied whether its transforming your look with a unique razor cut or the perfect color technique to compliment you. She always makes it a priority to give the highest level of customer service to all, which speaks volumes on her following. Janelle is a third generation stylist and really enjoys educating her guests on product knowledge as well as styling tricks to recreate the look at home. April has been passionate about hair for as long as she can remember from watching her mom learn and expand her talents as a "closet hairdresser". With hair being the main passion ever since she can remember, Gabrielle Gonzalez has jump started her career as an associate at The World Famous Cre8 Salon and Spa. Spending mostly every summer working in a salon throughout her teenage years, she always knew her love for shampooing and sweeping hair would become a lifetime of creating smiles through the art of hair design. Chrissy began her career as a Redken Colorist developing an elite high profile clientele and gained a reputation for excellence in both hair color and design. In 2013, Diane Klump decided to turn her passion for creativity into a career in the hair and beauty industry. Her love for helping people to feel amazing drove her to Cre8 Salon and Spa family to hone her skills. She takes pride in being a Cosmetologist and being well rounded in all aspects of her career. "Dai," short for Dainerys is the latest rising star at Cre8 Salon and Spa. Born in Cuba before coming to the United States and settling in Florida, Dainerys has finished her training while perfecting her hair styling passion under the wisdom and guidance of Marcy, Cre8’s owner and premier stylist. During her associate program, Mireya feels very fortunate to have trained under Tina Todd, Valerie Velez, Redken artist Parnelli Gard and also TV celebrity Nick Arrojo! Mireya’s down to earth personality continues to create classy finished looks and life-long relationships that build confidence every guest deserves. Being a certified Redken Colorist, Taylor’s love for hair radiates through every guest that sits in her chair. She began her cosmetology career in Wisconsin of 2015 at Madison College. Jamie has a passion for cutting hair. She believes an excellent cut is the most important part in creating a style for someone. Grew up with a passion for the latest hair trends while spending her Indianapolis summers as a child in her great aunt's salon! Wasn't until years later that Jennifer decided to change her career path towards something she truly LOVES. She is very excited to be part of the Cre8 team, her number one priority is providing clients with a fabulous experience. Growing up in a family full of stylists Jessica has always had a love and a desire to work in the salon. She has been in the service industry for over ten years. With an innate sense of making everyone feel beautiful and welcome, she caters to every person she meets in the hopes of making them happy. Mario's been around the salon industry his entire life! At the early age of thirteen he learned the basics of barbering, and over the years sharpened his hairdressing skills! With strong beliefs in continuous education he shares "A day with without learning something new is a day wasted, I truly cannot think of a better career choice. I love what I do!" Starting as a nail technician in 1999 Melonie's passion for people and the beauty industry continues to grow. After doing nails she decided her true love is hair color and design. From short hair to long hair she specializes in you. Meagan’s years and experience in the hospitality industry has allowed her to obtain a keen set of skills when it comes to customer relations and making people feel at home. Her hope is that her passion for color and her aim for perfection will only excel while she is in the associates program being the first associate to study under Eme Sohn who is one of the top stylist in the area. I’m excited to start my journey in a profession filled with beauty and passion. I’m looking forward to learning from the beautiful and talented Christina who I have the honor of assisting in the up coming year. I hope to one day become a master colorists for Redken and I strive to learn every chance I get. Heather’s passion and dedication to "never stop growing" drive her to be the best version of herself everyday. She is continuously attending training to become a well rounded cosmetologist and loves any and all opportunities for growth. Heathers favorite service is balyage as it allows her guests the most freedom of expression. Sharon’s dynamic with each client is diverse, natural, and unique. This approach also applies to the styles and colors she chooses for them. Olivia will always take the time to make sure all of her guests desires are met, so they leave feeling better than ever! She has a keen eye for precision cuts and beautiful color techniques. Cady is devoted to help make everyone who sits in her salon chair look and feel the best about themselves. Being customer service driven, Cady loves to listen to her clients and discover their inspirations. To Jordan it’s very important that each guest who sits in her chair receives the same level of exceptional service to achieve your dream hair goals by having strong communication. Emily has made sure to keep her creative mind fresh with classes at the top hair shows and top educators in the business. Always learning the newest trends and techniques.